Roberta has over 35 years of experience in human resources, business management, operations, office management, and accounting. She joined Inflexion in 2007 as the Human Resources Administrator, and since then has added Office Manager to the many hats she wears. 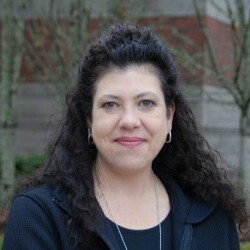 She has an AA from Trend Business College and has earned additional credits from the Oregon Bureau of Labor and Industries and other educational resources in supervision, policy writing, family-leave laws, COBRA, and other areas of the continually evolving world of human resources. Family: Married empty-nester with two adult children now out on their own. A very large feline was added to their abode with hopes that a Pudelpointer join them with plans to train to aid others as a search and rescue canine team.